This GuestHouse International property features all suites. Each 422 sq. 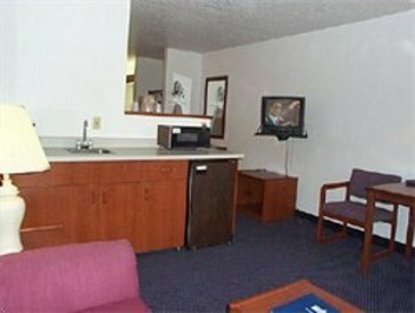 ft. guest suite is equipped with microwave, refrigerator, coffeemaker, hairdryer, iron with full size board, and free high-speed internet connection. Relax in your private sitting area on a comfortable couch or get some out-of-office work finished at the spacious work desk or enjoy our wonderful exercise facility.